Pastry is a complex balance between an adapted texture, an accurate golden colour, a buttery taste and a competitive price. However, baked goods remain indulgent products. 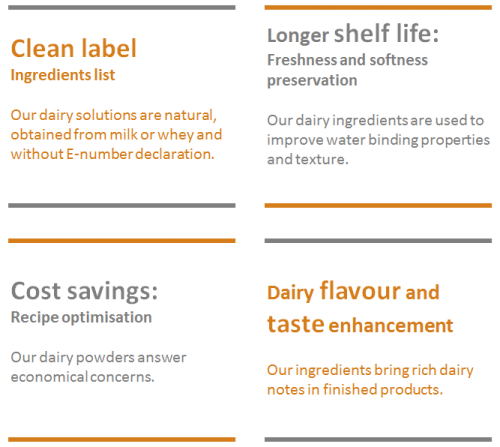 That is why LACTALIS Ingredients pays particular attention to develop tasty dairy solutions while bringing optimal functionalities. 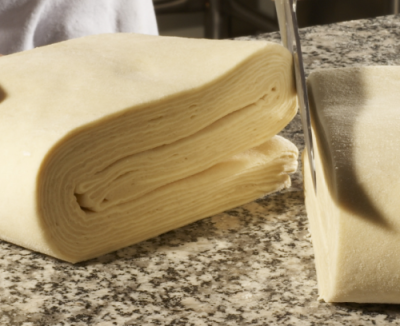 In bakery and especially in puff pastries, butter is central to the process management and product quality. Butter 82 VN remains stable under high pressure conditions (extrusion, rolling step…). To guarantee a consistent quality, a regular monitoring based on different tests has been set up to assess texture, appearance, plasticity and resistance. With its cohesive and homogeneous texture, butter 82 VN is ideal for well aerated and crunchy layering. Butter 82 VN brings crispiness to puff pastries.